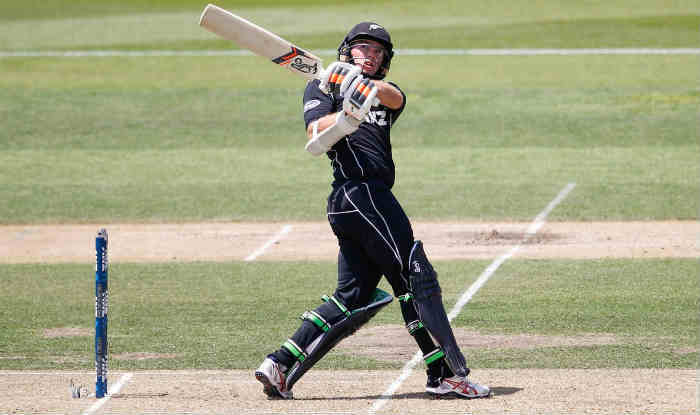 New Zealand on Thursday brought back Tom Latham and Colin de Grandhomme in the team in its bid to field the strongest possible squad for the ODI series against India starting next week in Napier. Both Latham and de Grandhomme were rested during the 3-0 clean sweep of Sri Lanka, but were included in the 14-member squad for the first three ODIs of the five-match series starting on next Wednesday. Skipper Kane Williamson and pacer Trent Boult, who were rested for the lone Twenty20 against Sri Lanka last Friday, are too named in the squad along side fit-again Mitchell Santner. Santner made his comeback in the lone Twenty20 against Sri Lanka after being sidelined by injury for 10 months. New Zealand coach Gary Stead said the squad had been selected keeping in mind two priorities — first planning for the World Cup and secondly to give the Kiwis the best possible chance of winning the series against world no.2 India. “Our two main priorities have been to select and prepare a squad capable of winning what is shaping as a massive series against India, and gathering as much information as possible ahead of the World Cup,” Stead said. New Zealand squad: Kane Williamson (captain), Trent Boult, Doug Bracewell, Colin de Grandhomme, Lockie Ferguson, Martin Guptill, Matt Henry, Tom Latham, Colin Munro, Henry Nicholls, Mitchell Santner, Ish Sodhi, Tim Southee, Ross Taylor.